Everything tastes better with chocolate! 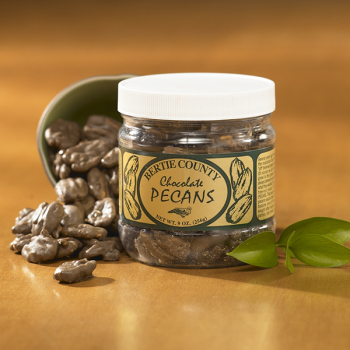 Our toasted, salted pecans have been drenched with our delicious chocolate to create a taste that is unforgettable! If you like pecans & chocolate I guarantee you won't be disappointed with these- they're the best i've ever eaten! It's just hard to stop with one serving- so make sure you have someone to share them with! These are wonderful. The hand dipping makes them wonderful and tasty. I'll buy again. One of my favorites and my go to for gift giving. The pecans are almost as good as the cashews but my clients I still rate them as a 5! 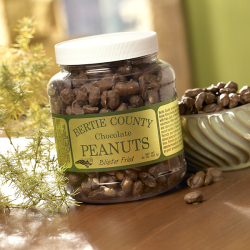 Best chocolate peanuts ever. always fresh tasting. 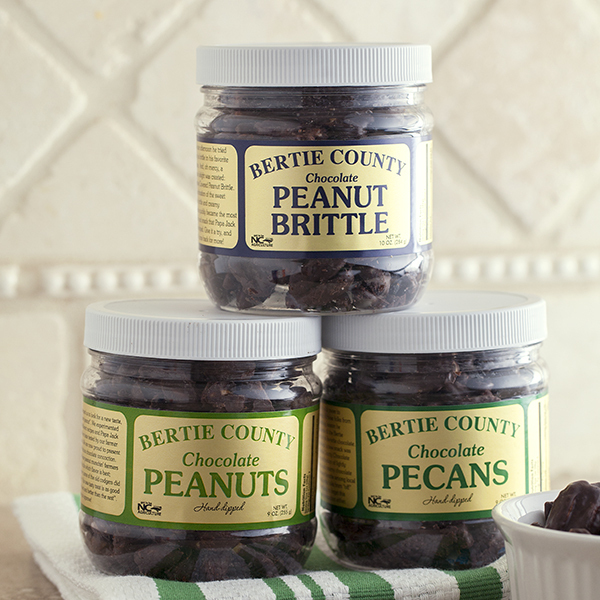 This brittle has great taste, but not very many peanuts. Also, most of the brittle was in small pieces. Chocolate was not good...don't know if was dark chocolate which I don't like or just bad chocolate. Pecans were tremendous though. Will buy chocoate covered nuts again! 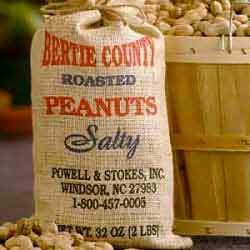 We keep a supply of Bertie County peanuts on hand all the time. On my recent order we added chocolate pecans and cashews. 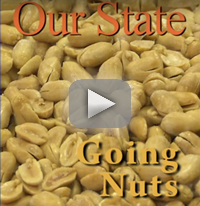 I think they are fabulous - nuts are fresh and chocolate is excellent quality.